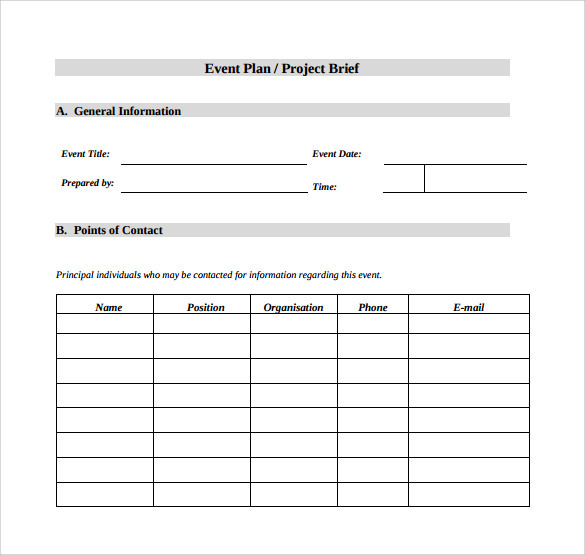 For event organizers managing an event where many audiences is expected to come in a large venue or elite place needs an Checklist Templates where all the planning of committee, budget, staffs and facilities must be implemented to able to meet the expectations or objectives of the client and by the audiences by themselves. This accomplishment tool will surely give any event organizers what they should prioritize to make their event a one of a kind from all the parties or celebration done. If you need an example template you can use is free to download in the internet but if you need a personalized list for your use only you can have the Microsoft word program to make the document you will use for your job then print it if done. 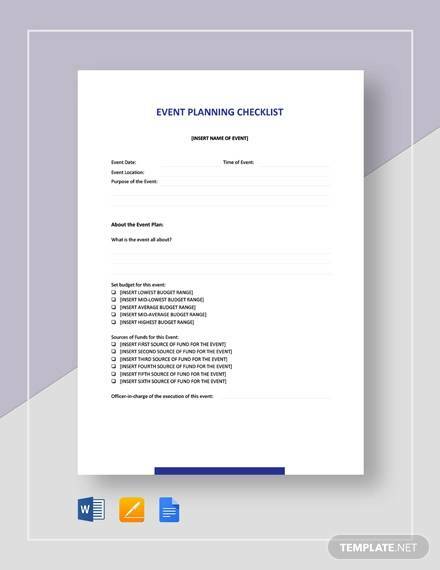 Event Checklist Template is not only a guide but the arrangement of things needed to be completed before the event will take place based on the demands of a client. You may also like Maintenance Checklist Templates. A Recruitment and Hiring Events Checklist Template is a tool popular among employers. If you too are involved in the recruitment of employees, then you can take help of this template. Planning and managing an event is extremely difficult. 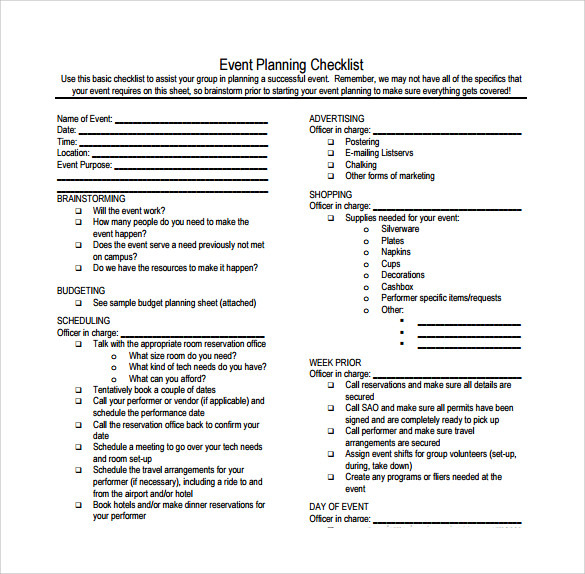 But now you can make your job easy with an Event Planning & Management Checklist Template. The highlight of this template is its ease of use. Just give it a try! If you are involved in organizing some meeting then it’s important for you to track the progress of your work, which is difficult without a good meeting checklist. 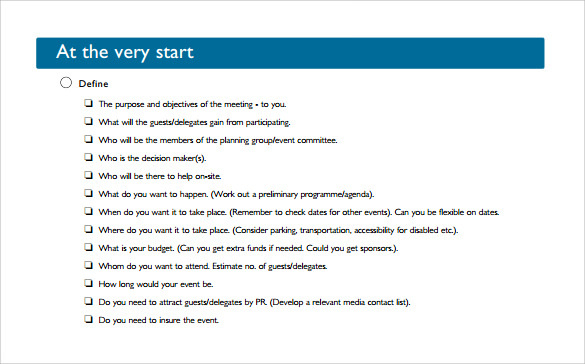 This Meeting & Event Check List Template is a handy tool which will help you immensely in this regard. Simplicity attracts everyone. And when it comes to tools, the simpler they are, the better it is. 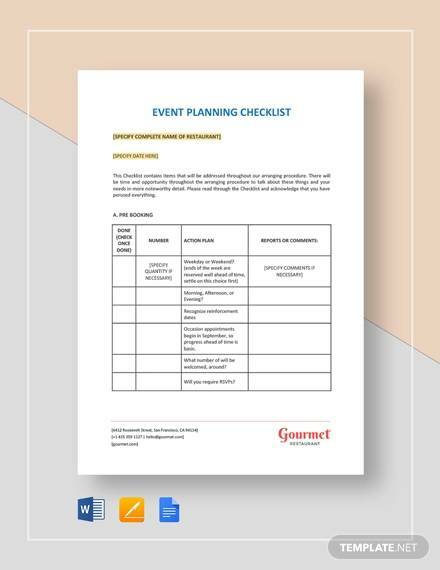 This event planning and management tool called Simple Event Checklist Template is perfect for anyone who is obsessed with simplicity. 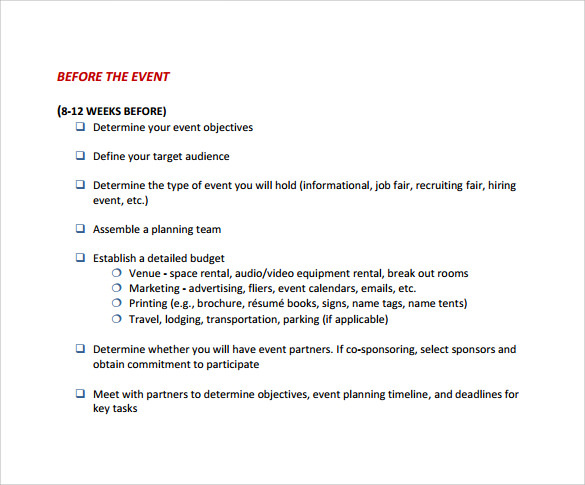 What is an Event Checklist? 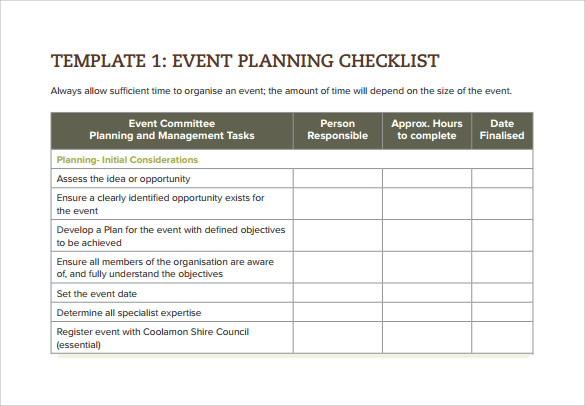 An event checklist is a list of event arrangements which need to be ticked off as and when they get completed. Some people prefer to use checklists for almost all kinds of events, and others begin using them few months in advance. Their popularity sure is large and their utility unmatched. You may like New Employee Checklist Templates. 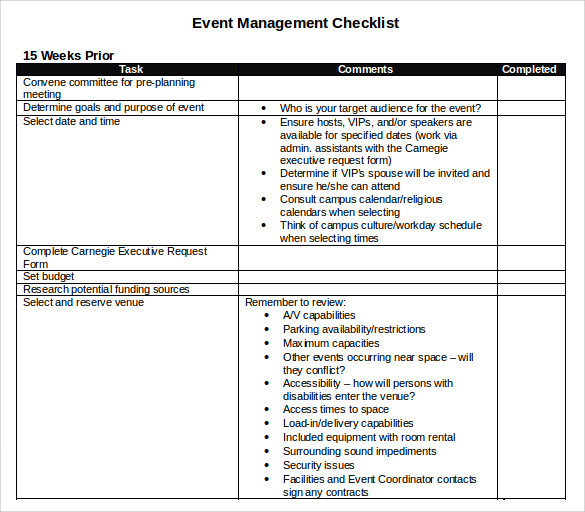 Unlike other event planners, event checklists allow users to track the developments of an event in a checklist format. As a result, the user is better able to ensure successful accomplishment of an event. 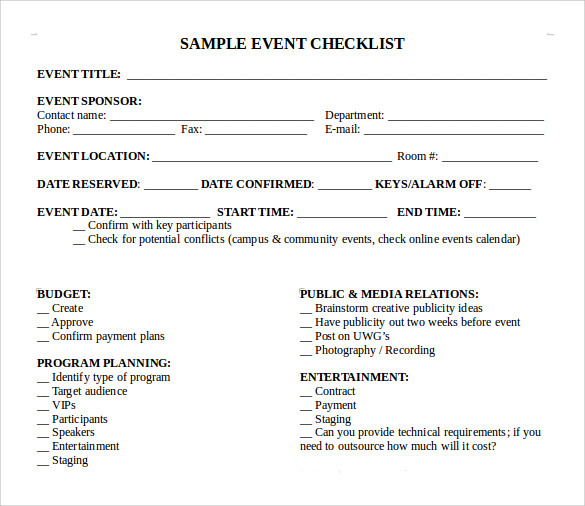 All you need is an event checklist template and a pen, and you are more than good to go. You can also see Renovation Checklist Templates. Event checklists can be created manually but for many people that’s a chore. 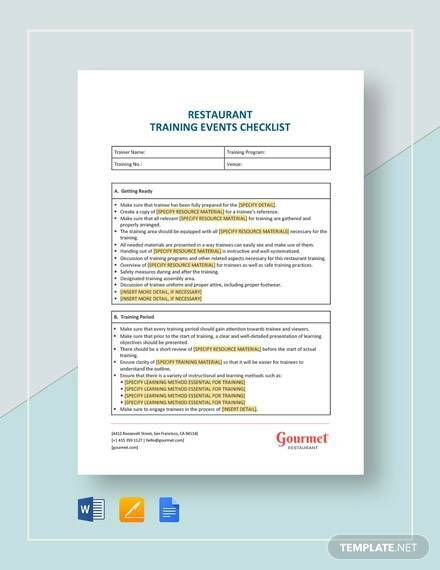 If you are time-pressed or not skilled enough to be able to devise an event checklist from the scratch, you can make use of templates. Templates not only save time but also prevent the user from putting unnecessary efforts. You may also like Audit Checklist Templates. All these templates are readily available over the internet. Since, there are paid as well as free varieties available, you can download either according to your budget. Most people find these templates extremely user-friendly. If you too want to reap their benefits, browse through the internet right away.